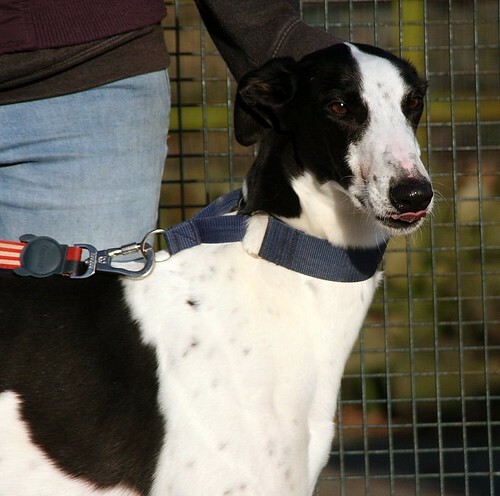 RESERVED - Six, gorgeous 3 year old greyhound clown! Six, a bit of a daft name but ironically it suits him. 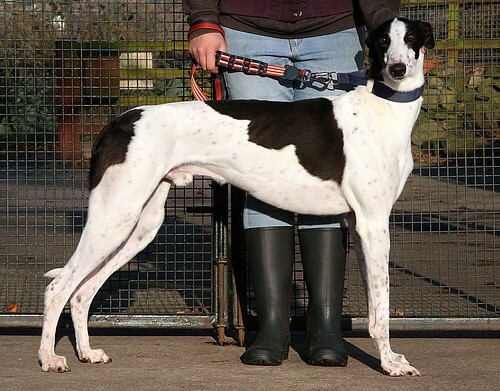 Six is a 3 year old clown of a greyhound lad. A bit of a plank and a dope but so full of energy that he gets himself into trouble without trying. 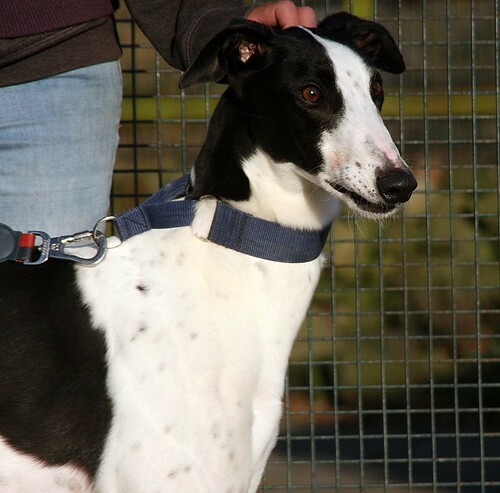 Six has only just retired from racing and apparently he was meant to be hopeless. It just hasn't clicked in his brain yet so he can still be a bit silly and strong on lead and apparently everything he does and everywhere he goes he currently has to do with an acceleration speed of 30mph! He is learning that a lead means he is changed to you and getting better with each walk bless him! 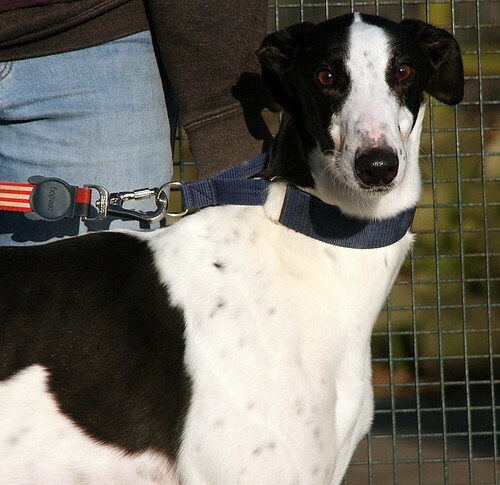 Six has been fabulous with all the other dogs he has met here and really likes the greyhounds. He is currently kennelled with one of the girls and gets on with her fine. 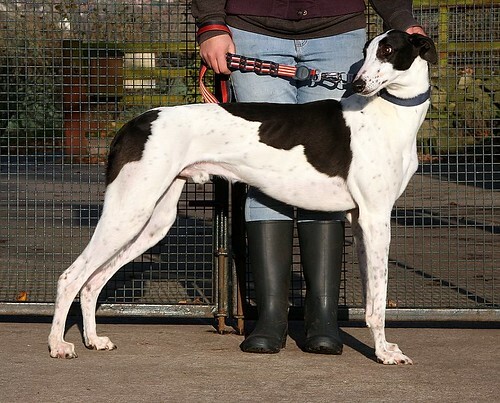 We think he would love a home with a female greyhound girl not only for company but to keep him in line too whilst he is settling and learning how to toe the line. Six is learning to be clean in his kennel, walks like a dream in the main bar the silly strength he sometimes puts into it and travels like a dream too! He can be rehomed with dog savy children 8 plus or 6 plus if already use to living with a dopey hound. Six is NOT cat friendly. Six is vaccinated, kc vaccinated, de flead, de wormed, microchipped, neutered and has had a dental and is rehomed with one months free insurance from Petplan.